A stunning blues night will take place at the International Mugham Center on February 17. 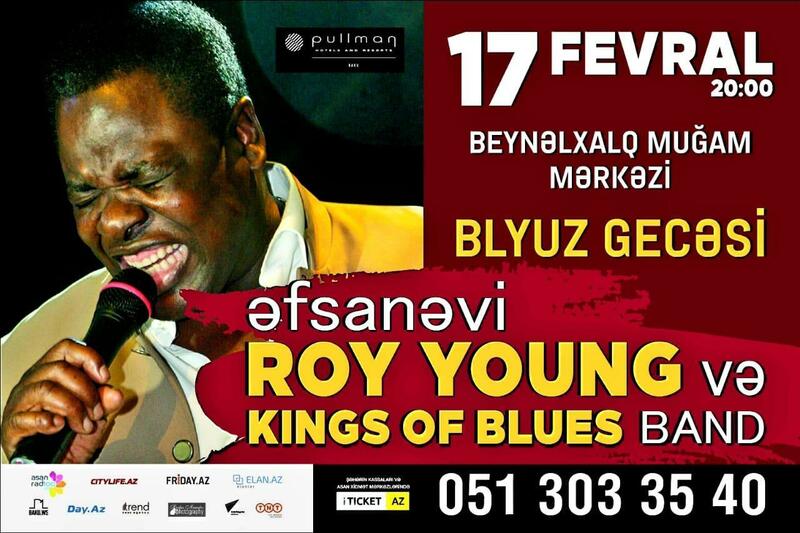 The concert will feature the legendary Roy Young and King of Blues Band, Trend Life reported. The name Roy Young is forever inscribed in the musical history of the 20th century. His concerts are successfully held on the best stages of the world. According to reviews in the foreign press, there are rarely anybody sitting at the singer's concerts - even the most lyrical compositions sound so jolly that the audience, fascinated by the rhythms of jazz and blues, prefer to dance. Young moved with his parents to England, and in 1969, when he was 19, he settled in Israel. Until 2007, Roy Young did not perform in the United States, while his blues album "Memphis" in the United States was a huge success and excited the entire global blues community. Tickets can be purchased at all ticket offices of the city and website www.iticket.az.